Drumroll please….it’s the final day of the book meme 😦 Which means I’m a week away from classes starting back up and I’m back to being a hermit. But back to the task at hand. 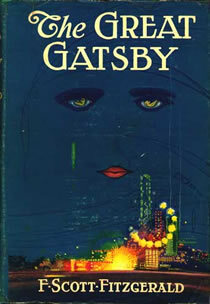 Yes, The Great Gatsby is by far my favorite book of all time. No question. I read this book in the 11th grade and never looked back. The 20’s have always been my favorite time period. The fashions, the trends, the music, the parties, did I mention the fashion? I like to think I was a flapper in a previous life. This book is severely romantic and classic. I love everything about it. Especially the relationship between Gatsby and Daisy. And especially Gatsby. He’s that true classic gentleman that every woman could only dream of having in their arms. I remember thinking Daisy was the craziest woman in the world for letting go of that and I really disliked her throughout the majority of the book. I mean who doesn’t want a love like that? Forget Edward and Bella. And then I saw the movie and knew Robert Redford was the new man of my dreams. This book encompasses the generation that was the roaring 20’s and I can never get enough of it. I want my housewarming party to be a Gatsby party and I want to have a 20’s vibe to my wedding. This book has not only inspired me and taught me a lot about literature, but it’s given me a better sense of history and a much greater appreciation for the classic. 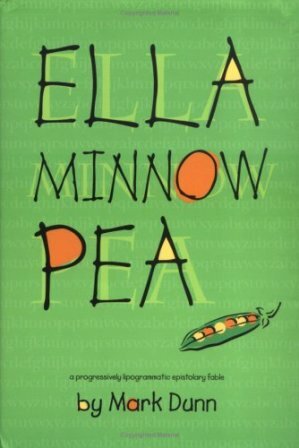 I had to read this book in my 9th grade English class. We were split up into groups and were each assigned a different science fiction novel and this was the one my group was assigned to. I had never really been a fan of the sci-fi genre and was planning to Cliff Note the hell out of this book, as did the rest of my group. 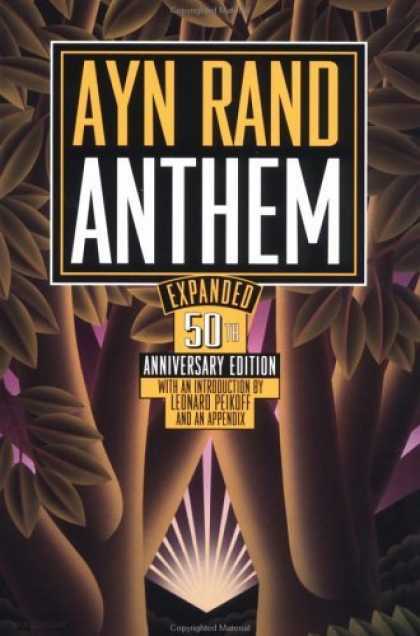 I had heard of Ayn Rand and The Fountainhead and most people I had heard from said her books were far too long and way too boring. When it came time to start reading, I just decided to read the first chapter and get somewhat of an idea of what it was about before I relied on good ole’ Cliff for all the rest. Well when the first chapter was over, I still had no idea what was going on but for some strange reason, I wanted to learn more. I am proud to say that I actually finished this book in its entirety without ever opening one of those little yellow and black pamphlets. And I’m even prouder to say that I was the only one in my group of 8 who did so. I remember our group discussions about the book and I was always the first (and really only one) to jump into discussion and start asking questions. My group members were not too big a fan of me at that point. Nor were they fans of the book. I remember them all saying how much they hated it and how wierd they thought I was for 1. actually getting through more than a page of the book and 2. actually reading the whole thing. But it was thought-provoking, interesting, and could even foreshadow a society yet to come. And that makes it a horror story. I haven’t read this book yet. It’s on my to-read list. But I really love the title. I have friends who have read the book and say it’s quite interesting. It’s no surprise that the plot revolves around the alphabet. Easy. HARRY POTTER BEING A HORCRUX. Sorry if I just ruined it for anyone. I mean I guess I should have seen that one coming but I really didn’t expect it when I first read about the horcuxes. I swear when I figured out that Harry was one, I screamed “THE SCAR!! OH MY GOD NOW THEY HAVE TO KILL HARRY IN ORDER TO DESTROY VOLDEMORT.” Well obviously that’s not really how it ended up in the book. But at that one moment in time, I thought my life would never be the same. My grandmother read all the books before me and I went screaming to her saying, “WHY DIDN’T YOU TELL ME MIM?? I mean I feel that would be at least an important hint to give.” Yeah I was a little obsessed with the books back then. But I mean can you blame me? I also have to say the ending of the series was pretty surprising too. A pleasant one, but a surprise nonetheless. I have honestly thought about this all day and have come up with nothing. I mean it honestly would take a book a lot of clout in order to change my opinions. I mean I guess I could say that with some of the autobiographies I’ve read, I’ve gotten a much clearer perspective of certain people, whether they be historical greats or recent celebrities. I mean a lot of times, it’s easy to hate or be jealous of some of the famous people out there today but when you read their own words about their life, you realize they’re just a person like any regular Joe on the street. They can just act better than we can and thet get paid more than we do for a great talent. For example, I read Tori Spelling’s first book. sTORItelling (yes I read this, I really loved their Oxygen show and her husband is hot. Don’t judge). I had never had negative thoughts towards her but I fell into the typical vortex where I thought she had the perfect life based on her TV show. But after reading her book, I realized what it took for her to get where she is now and that she didn’t necessarily lead the all-star “I’m Aaron Spelling’s daughter” life that we all think she lived. Books like that are pretty grounding for people to read. And while they don’t really change my overall opinion on something or someone, they bring a touch of humility and reality to the table. Easy. Matilda. From Roald Dahl’s book of the same name. While I don’t have telekinetic powers, I am pretty much just like her in every other way (especially as a child and now even so in my adult years). Matilda learned to read at a very young age, just as I did, and books became her form of escape from her rather strange family. Now my family wasn’t all that strange. In fact, we were pretty normal as far as families go. But ever since learning to read, books became my escape, my santuary. I always knew I could rely on a book to make my day better or take me away from whatever adolescent issue I was having. And the same can be said today. I go to places like Pemberley, Forks, or Sichuan and meet people like Jay Gatsby and Emily Delahunty. And I can do that any day that I want. Matilda spent the majority of her free time at the library, as did I. And Matilda also was an outsider. She never felt like she fit in with her family or at her lousy school. And she used her passion for reading to take her away from all that and find a better life for herself. When I was younger I also felt out of place. My sister was 18 and had no use for me. My dad was always at work and a lot of the kids at my elementary school would make fun of me (mostly because my hair back then would make me look like a poodle). I did have a few best friends like Matilda did. And I also had a teacher that became my go-to person and my friend. Even today I can relate to Matilda in just about every way (still minus the telekinesis…but boy I wish I could go all Carrie on a few people) But I digress. Today, I still deal with people who are less than desirable as acquiantances, much less friends, but I have the true blue stick outs who I know I can count on. I still have a college professor who has become my mentor and good friend. And yes, I still prefer to be alone in my bed with a book and a glass of wine rather than out getting into god knows how much trouble. No one I have ever talked to has even heard of this book much less have they read it. I came across this book at the library one day. I had no definite list of books I wanted to read that day and was just picking up random books (most of which I found the cover to be most interesting). This book was on the very bottom and very empty shelf in the section I was in. I flipped through it for a second and really liked the way the dialogue read and thought a lot of the ideas presented in it were interesting and just kinda cutesy so I decided to give it a try. I finished this book in a day. There’s no true plot to this book. 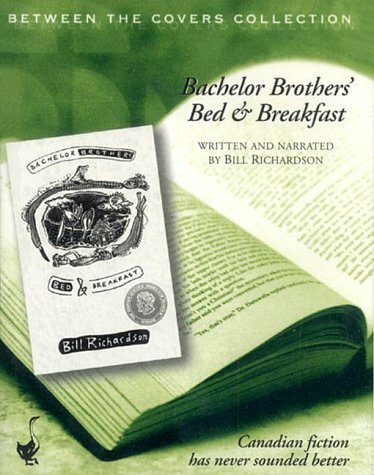 It’s just about two brothers who open up a bed and breakfast. Some of the book deals with the stories behind some of their guests. Other parts revolve around the brothers and their unique habits. But I really just think everyone should read this book. It’s pleasant and soothing at the end of a long day and it literally takes you to a bed and breakfast owned by two fraternal twins who have plain every-day adventures. And I think everyone could use a dose of that every now and then.